The Adler Planetarium is located on the northeast tip of Northerly Island. It sits alongside the Field Museum and the Shedd Aquarium in Chicago’s Museum Campus. The Adler’s mission is to inspire exploration and an understanding of the universe. The Grainger Sky Theater offers the most immersive, technologically enhanced theater experience ever developed for a planetarium. The Definiti Theater uses an all-digital projection system to take visitors on a spectacular journey in any of its featured shows. The Samuel C. Johnson Family Star Theater is the newest theater and can easily brag about incomparable shows in dazzling, high definition 3D. Guests can design, build, and launch experiments that are flown to heights above 100,000 feet (30,000 m) on high-altitude balloons through the Adler’s high altitude program, Far Horizons. This program offers real world opportunities for students and the community to participate in science, mathematics, physics, and engineering challenges. The Doane Observatory is the largest aperture telescope available to the public in the Chicago area. The telescope is one of only a few active research centers within an urban area. The Doane can gather over 5,000 times more light than an unaided human eye through a 20 inch (0.5 m) diameter mirror. This allows guests to see celestial objects like the Moon, planets, stars, and galaxies that are trillions of miles away. 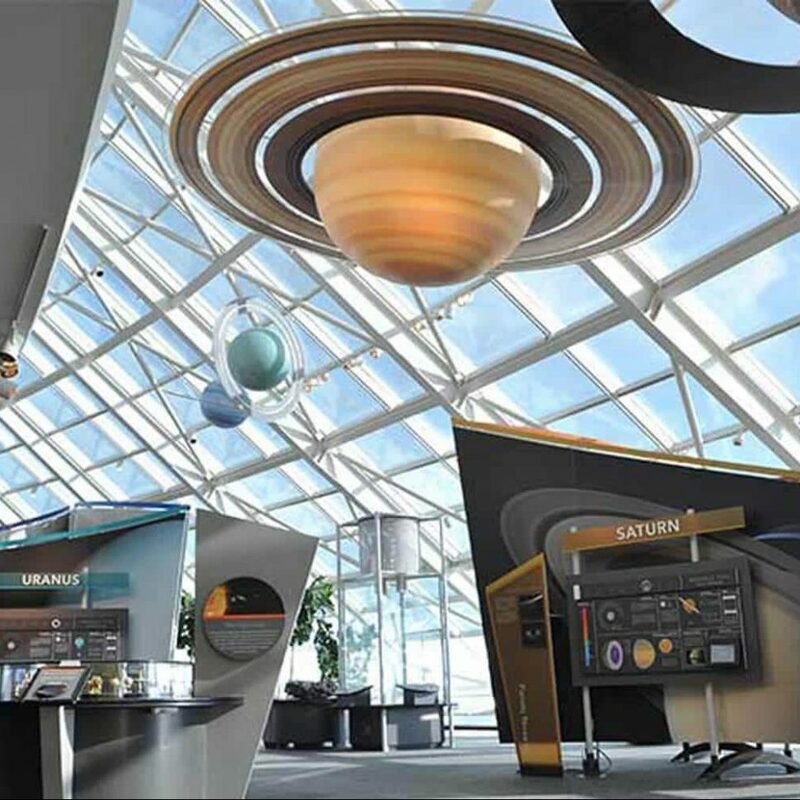 A list of the Adler Planetarium’s current exhibits is available on their website. See our list of attractions if you would like to combine your visit with a visit to the Field Museum or the Shedd Aquarium. The Adler Planetarium is included in the Chicago City Pass. This discounted program combines Chicago’s top attractions into one easy ticket.